Identiplast is one of the leading European events focused on the recycling and recovery of used plastics. 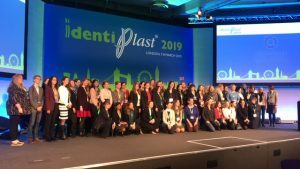 IdentiPlast 2019 took place on 7 and 8 March 2019 and was organised by Plastics Europe and supported by the British Plastics Federation. 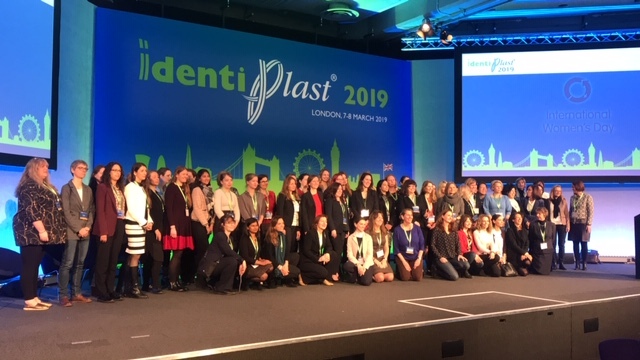 Over 340 plastics professionals attended the event, in London’s government quarter, making the conference the largest IdentiPlast ever. One of the key themes of the event was to ensure that plastics maintains its value at end of life to enable Circular Economy. 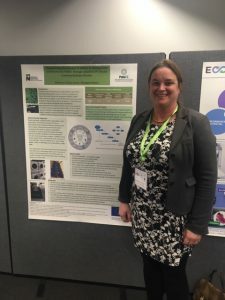 With this in mind, this year, for the first time they personally invited 5 different organisations to present a poster based on research into the recycling and recovery of plastics. 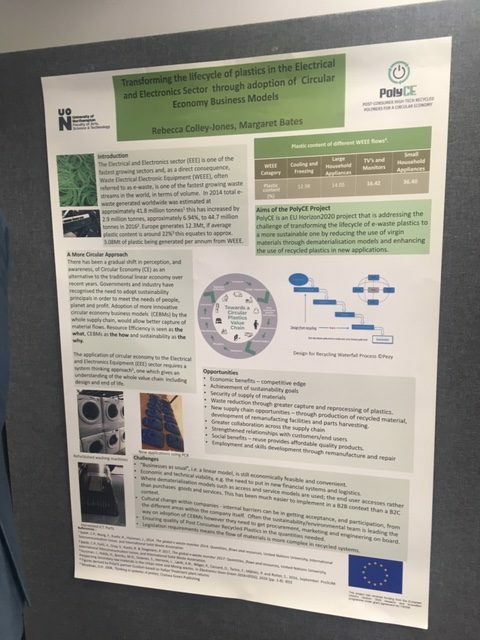 Rebecca Colley-Jones from the University of Northampton was pleased to be invited to be part of the event and produced a poster on behalf of PolyCE. Posters were positioned at the entrance to the main networking and refreshment area with, the majority of the people entering the networking area passing us and many stopping to engage as a result. This created a nice buzz as you entered the area. There were some great discussions, which will be ongoing, with representatives from across the plastics value chain. The posters were a valuable addition to the conference, providing an excellent opportunity for projects such as ours to disseminate information to a wide variety of stakeholders. It also alerted organisations to a number of research activities that they may otherwise not have been aware of. It also led to a sharing of information between the research projects and potential new collaborations.